Two Legends of SF Team Up! 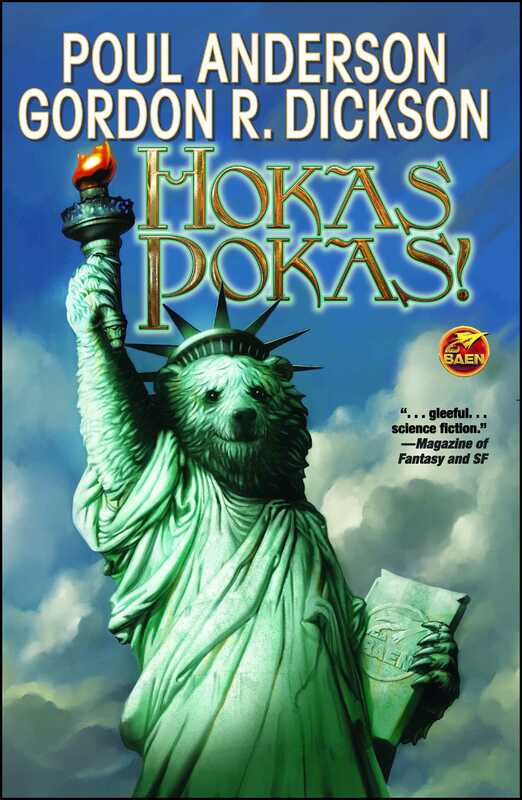 Poul Anderson and Gordon R. Dickson present the Hokas, teddy-bear-like aliens who take the stories of Earth very seriously, in this classic of humorous SF. When a human thinks he's Napoleon Bonaparte, it's time to get out a straightjacket. But when a Hoka thinks he's Napoleon Bonaparte, you'd better believe it! Particularly since there'll be hundreds of other Hokas around who know for a fact that they're the French Army, mon amis, even if they're on another planet lightyears away from Earth, and the forces they're facing aren't the British but very nasty warlike aliens who by all reason should be expected to make mincemeat out of the Hokas.